On this page: History is built upon the story Myth. The subject of Chen 'tuan' or 'bo' or as 'master' Xi Yi, and the topics linked to him ...and why, is a subject worth unwrapping. For the teacher Chen Tuan of the Song Dynasty, there exists about 5 differing health and martial exercises claiming him as an origin. Use of the alternate name 'bo' would then become significant. For the martial exercise commonly named: 心意六合八法拳 or as secularly named: 華嶽夷希門 [ Co-joined 華嶽夷希門心意六合八法拳 ], the Song Dynasties' martial arts and/ or a taoist 'school' 門 claiming standards from or lineage linked to master xiyi- 夷希 becomes significant; to a lesser extent is Mt Hua Shan's lofty pinnacles 華嶽 [where realistically, there is no place to practice]. Also, the weather conditions, high winds and adverse snow falls, would render Mt. Hua, even within one of its' many caves, a far less than perfect place to dwell. The martial linkage would be alternately addressed to Song Dynasty emperor Taizu- the said creator of 'long boxing' who likely also knew the earlier tongbei spinal reflex principle. All imagery of Chen [bo or tuan or xiyi] are divergent; there exists no bonefide image. At best, Chun Tuan imagery is 'fuzzy' speculation with characteristics being derived by sectular beliefs or event chronolgy of 'acceptable' demeaner appropriate to a 'history'. Most portray him as 'scholarly' usually confucian or as a rotund orb; none portray him as a pugalist. Teacher to the public Wu Yi-hui 吳翼翬 in the later part of his life, commissioned a carved stone memorial 石刻 紀念館 陳摶 to be placed on Zhongling Shan 鍾靈山 or Guilin 桂林. 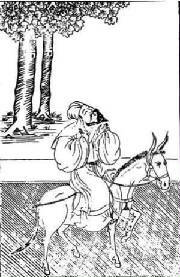 Unfortunately, as often as this image has appeared on the internet, it represents no more than just another confusing cartoon of Chen Tuan. 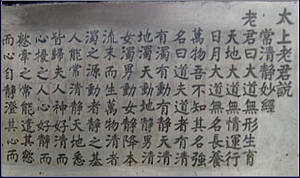 A commentary is required on Chen's names, their usage, and the confusion that does arise if their differences are not understood. 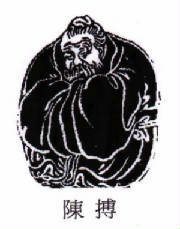 Daoist Chen Tuan 陳摶 has been called Chen Bo 陳搏 (or Chan Bok, in Cantonese). The two characters 摶 / 搏 look very similar..resulting in erroneous cross-over replacement. > Tuan 摶 means to touch [to apprehend]; also, to roll round with the hand; to roll up into a ball with the hands; a spiral or a circle [ variant of 團 ]. ie, 摶風 tuánfēng to rise very quickly. [thus quickly rising to success]. > Bo 搏 means to fight, combat, seize. ie. Within the topic of martial arts, 'bo' would seem to be the better; however, within the topic of 'taoist of the Song' or geomancy, feng shui [wind / water] 'tuan' is more used. This 'tuan' and/ or 'bo' dicotomy is a source of identity confusion in regards to Chen being a sage or an exercise teacher. [ Note: this name could be the cause of confusion with Bai Yuan Tong Bei Chuan, 白猿通回到拳擊 'White Ape' -Tong-Bei- 'Through-Back' Fist-Boxing . 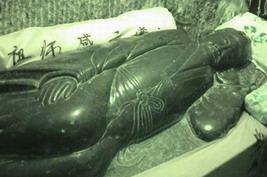 Also, the White Cloud Sect, Baiyun-zong 白雲宗, was a popular type of Buddhist Sect. Thus white clouds 白雲 bai yun has become entangled with white ape 白猿 bai-yun boxing. >Xian-Sheng Xi-Yí 先生 希夷 Named by the 2nd Song Emperor. The choice of Xi-Yi is ellaborated further below. 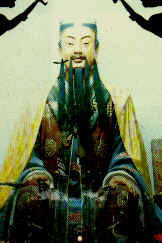 Therefore, the emperor gave him the name Xi Yi 希夷 suggesting that Chen had reached a state as described by Dao De Jing. The princepts are with three words Yi 夷, Xi 希 and Wei 微. Yi 夷 to represent the state of being invisible. Xi 希 to represent the state of being inaudible. Wei 微 to represent the state of being formless. Chen Tuan's name became so famous that it was also penned in as an author-source to give credit to a writing. 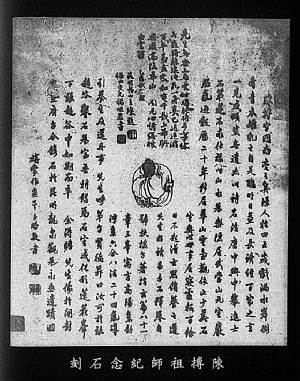 This was done for the Zi Wei Dou Shu 紫微斗數 Purple Star Astrology..a form of fortune telling devised by Taoist Lu Chun Yang 呂純陽. 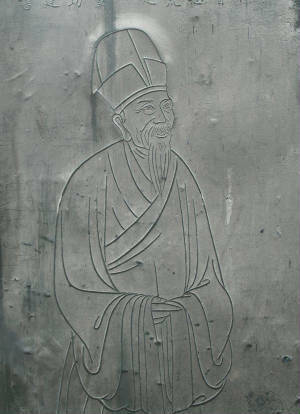 > Chang Po-tuan 張伯端 (984-1082). Chang is best known as the founder of the Southern branch of Ch’üan-chen Taoism, but this is a retrospective attribution, since Ch’üan-chen was not established until decades after his death. Although Chang was initially skilled in various mantic arts, his mature doctrines were focused on the view of the body as a universal microcosm and the arts of inner alchemy. >Chen Bu ( 陳仆; 陈卜) Chen Village its' founder, a name to not confuse. Wu Tang exercise today does offer a 'Chang Sanfeng' Tai Chi- [ which is more honorific to myth Chang and previously was not called 'tai-chi' exercise] and likely the more original Tai-Yi-chuan. 武当太乙五行拳 which has many aspects parallel to those used for LHBF. 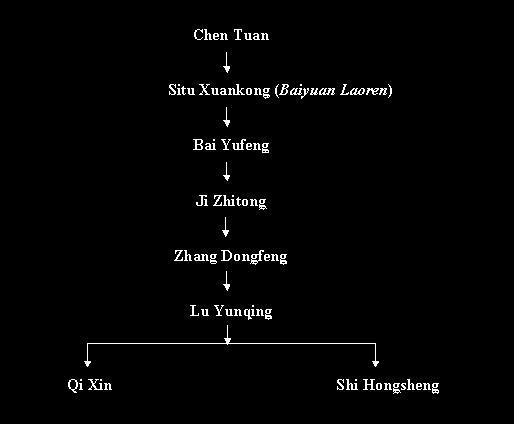 Another: There exists also a claimed lineage of Chen Tuan linked to Hua Shan and one of the older 'originators' of a Tai-chi- like exercise: Li Dao Zi, or Li Tao Tsu ( 李道子 ), and the exercise, Xian Tian Quan ( 先天拳 ) Before Heaven boxing. [ This is itemized on page Nota Bene at this site. ] There are however serious time line problems about this claim stretching between dynasties. Sage's Proteges +2 : At Yun Shan, in S.E. Lok District, a Li Dong-Feng = Lee, Tung-Fung claims to have 'discovered' documents 'in a cave', the tomb of Chen Tuan; these are the so-called LiHe BaFa-verses; his student, Sung, Yuen-Tung is credited with elaborating these verses in a document called five-word secrets, as each verse is of 5 characters. However, such 'wordy' secret-message poetry is pervasive in all chinese esoteric teachings, the number of words, five or seven, is insignificant; a knowledge of the subject matter is required for understanding. This recumbant 'dream-sleep' meditation tends to take the dominant trait that characterizes Chen, master XiYi-, and is interwoven into the Mt Hua or XiYi-school practices 華山希夷門. Without going into the 'history' surrounding this skill of Chen, it is generally refered to as 華山 十二 睡功 總訣, hua-shan shi-er shui-gong zong-jue, 'mt hua..thirteen sleep-achievement collective-farewell [the 總訣 being a chinse idiom for imparting final knowledge upon leaving.] A full coverage of this appears in the 'marrow of the red phoenix' 赤鳳髓 chi-feng sui by Chou Lu-ching 周履靖 : General Instructions for the Twelve Sleep Practices of Mount Hua. 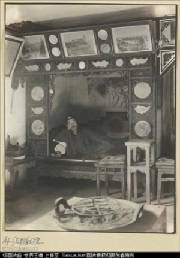 Some monks on Hua Shan continued to practice a sleeping meditation into the 1940’s on the western peak of Hua Shan as evidenced by Hedda Morrison’s photographs taken there in 1935. Note- See pictures at the Harvard University Library web site. Album containing 116 black-and-white photographs of Hua Mountain in eastern Shaanxi Sheng. Subjects include mountain landscapes, Daoist priests, monasteries, temples, altars, temple figures, and decorative objects. Hua-Shan Qi Gong: 華山氣功 Qi-gong named for Mt.Hua, likely unrelated In researching references for HuaShan exercises/ qi-gong I came upon a site claiming to be a 'hua-shan' exercise or a 'swimming dragon' exercise of hua-shan-qigong; ...this is completely unclear, and the reputable teachers tutoring it are only expanding a fantasy. One of the earliest bonefide documents of recorded 'longevity-health' exercises was found in the Nobel Tombs at Mawang Dui, Changsha Kingdom, 3rd century BCE to 1st century CE. 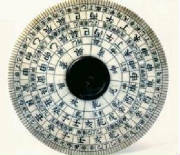 "This chart was found in Mawangdui Tomb No. 3. It shows forty-four people—men and women, young and old—engaged in a kind of gymnastics believed to heal some diseases and extend life. 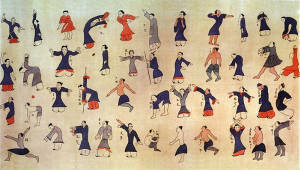 The chart is considered the ancestor of the exercises called qigong practiced today in China and all over the world." “Guiding and pulling” (Daoyin) refers to the different postures involved in these exercises. The physical basis for daoyin is qi. In the last centuries before the beginning of the Common Era the Chinese came to believe that the whole world and everything in it was made of qi. 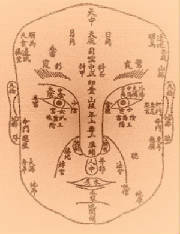 Qi was the basis of Chinese medicine. Wellness was the result of qi circulating freely throughout the body. Exercises could help qi circulate properly." 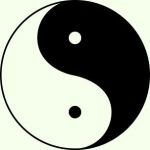 International Taoist Tai Chi Society : Volunteer-run non-profit charitable organization promoting Taoist Tai Chi and other Taoist health-promoting arts. World Directory, events. Developed by Moy Lin-Shin, trained in the Earlier Heaven Wu-chi sect of the Hua Shan school of Taoism. Positioning of 'house and gardens' Luck making. There does exit many musical pieces that are 'claimed' to be from or 'derived' from or are 'honorific' to Msr. Chen. There is not a single one of these that can be claimed bone fide. There exist often verse lines within the music that may also 'honor' Msr Chen. See John Thompson at site: http://silkqin.com and Song Dynasty verses and songs. [or from /at Mt.Hua ] and the 'Five-animal' sport. "The centre of wulin houses the most prominent societies of martial arts in the Fairy Land of Drinking Horse. These are Shaolin and Wudang, in which many secret scripts of supreme kungfu unheard and untouched are securely treasured. These two dragons of yang and yin are in turn surrounded by the Five Swords, which forms a central ring in wulin. Since the fall of Tang Dynasty, this core structure had been shunned by the government very much. Struggles and intrigues took place there many many times. Centuries later, the structure had almost entirely cut themselves off the feudal politics, and eventually formed the basis of a new community called wulin."